After lipsticks blushes would have to be my favourite makeup item. I own way more than I'd ever need but I can never say no to them especially when they come in cute packaging like theBalm blushes do. 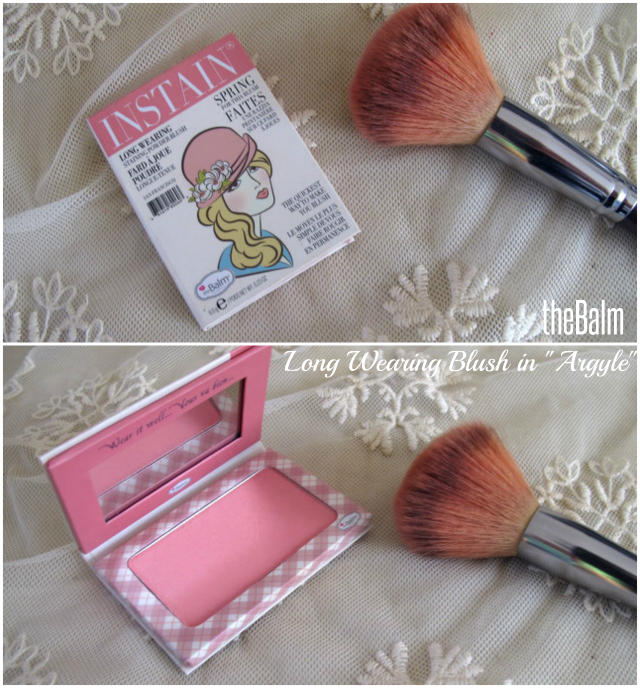 theBalm Instain Long-Wearing Staining Powder blush (phew, that's a mouthful!) comes in a cute cardboard flip top packaging with a handy mirror under the lid. I'm actually quite a fan of this type of packaging, as they are very light in weight if you like to carry your blush around with you for touch ups. 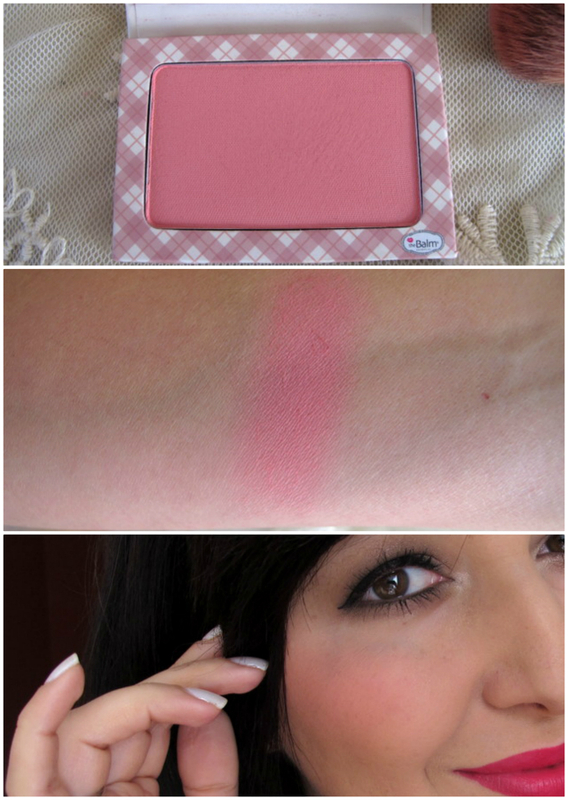 Not that you'd need to touch up with this blush as it seriously is long lasting. Basically I apply it in the morning and by the time I get home from work my cheeks are still coloured. I can't vouch for how much longer it would last in the evening as by then I'm with my toddler son who loves giving sloppy kisses to his mama, while no doubt eating off my blush and makeup. You can get theBalm from David Jones or from theBalm website (with international delivery). The Instain blushes are AUD$26.95 each. I have the shade Toile which I'm in love with. The formula and lasting power is just outstanding! I have the blush in Toile and I really like it. This shade looks pretty too! I love this blush on you. I have it and love the formula.I also just love how it's matte. I don't have too many matte blushes..